For Bush's critics, even hindsight is cloudy. #ad#These sentiments are intellectually dishonest and morally reprehensible for a variety of reasons beyond the obvious consideration that you do not hang out to dry some 150,000 brave Americans on the field of battle while you in-fight over whether they should have ever been sent there in the first place. Consider the now exasperating (and tired) argument that almost anyone who looked at the intelligence data shared the same opinion about the threat of weapons of mass destruction–former presidents, U.S. congressmen, foreign governments, Iraqi exiles, and numerous intelligence organizations. The prewar speeches of aJay Rockefeller and Hillary Clinton sparked and sizzled with somber warnings about biological and chemical arsenals–and, yes, nuclear threats growing on the horizon. Politicians voted for war at a time of post-9/11 furor and fear, when anthrax was thought to have been scattered in our major cities and the hysteria over its traces evacuated government buildings. In response, the Democrats beat their breasts to prove that they could out-macho the “smoke-em-out” and “dead-or-alive” president in laying out the case against Saddam Hussein, especially after the successful removal of the Taliban. To argue recently, as Howard Dean has, that the president somehow had even more intelligence data or additional information beyond what was given to the Senate Intelligence Committee can make the opposite argument from what was intended- the dangers seemed even greater the more files one read attesting to Saddam’s past history, clear intent, formidable financial resources, and fury at the United States. If the Dean notion is that the president had mysterious auxiliary information, then the case was probably even stronger for war, since no one has yet produced any stealth document that (a) warned there was no WMDs, and (b) was knowingly withheld from the Congress. Even more importantly, the U.S. Senate voted to authorize the removal of Saddam Hussein for 22 reasons other than just his possession of dangerous weapons. We seem to have forgotten that entirely. If the Bush administration erred in privileging the dangers of Iraqi WMDs, then the Congress in its wisdom used a far broader approach (as Sen. Robert Byrd complained at the time), and went well beyond George Bush in making a more far-reaching case for war–genocide, violation of U.N. agreements, breaking of the 1991 armistice accords, attempts to kill a former U.S. president, and firing on American aerial patrols. It was the U.S. Senate–a majority of Democrats included–not Paul Wolfowitz, that legislated a war to reform and restore the wider Middle East: “…whereas it is in the national security of the United States to restore international peace and security to the Persian Gulf region”. Given such an incriminating record, what then is really at the heart of the current strange congressional hysteria? Simple–the tragic loss of nearly 2,100 Americans in Iraq. The “my perfect war, your messy postbellum reconstruction” crowd is now huge and unapologetic. It encompasses not just leftists who once jumped on the war bandwagon in fears that Democrats would be tarred as weak on national security (a legitimate worry), but also many saber-rattling conservatives and Republicans–including those (the most shameful of all) who had in earlier times both sent letters to President Clinton and Bush demanding the removal of Saddam and now damn their commander-in-chief for taking them at their own word. In the triumphalism after seeing Milosevic go down without a single American death, the Taliban implode at very little cost, and Saddam removed from power with little more than 100 fatalities, there was the assumption that the United States could simply nod and dictators would quail and democracy would follow. Had we lost 100 in birthing democracy and not 2,000, or seen purple fingers only and not IEDs on Dan Rather’s nightly broadcasts, today’s critics would be arguing over who first thought up the idea of removing Saddam and implementing democratic changes. So without our 2,100 losses, nearly all the present critics would be either silent or grandstanding their support –in the manner that three quarters of the American population who polled that they were in favor of the war once they saw the statue of Saddam fall. In short, there is no issue of WMD other than finding out why our intelligence people who had once missed it in the First Gulf War, then hyped it in the next-or what actually happened to all the unaccounted for vials and stockpiles that the U.N. inspectors swore were once inside Iraq. So the real crux is a real legitimate debate over whether our ongoing costs-billions spent, thousands wounded, nearly 2,100 American soldiers lost-will be worth the results achieved. Post facto, no death seems “worth it”. The premature end of life is tangible and horrendous in a way that the object of such soldiers’ sacrifices-a reformed Middle East, a safer world, enhanced American safety, and freedom for 26 million-seems remote and abstract. Nevertheless, that is what our soldiers died for: a world in which Middle East dictators no longer murder their own, ruin their won societies, and then cynically use terrorism to whip up the Arab street and deflect their own self-induced miseries onto the United States. This is the calculus that led to 9/11, and the reason why Saddam gave sanctuary to 1980s terrorists, the killer Yasin who failed in his first attempt to take down the twin towers, and the likes of Zarqawi. Sadder still, they stay transfixed to this refrain either because polls show that it is good politics or it allows them a viable exit from an apparently now unpopular war. But no, not so fast. History has other lessons as well–as we know from the similar public depression during successful wars after Washington’s sad winter at Valley Forge, Lincoln’s summer of 1864, or the 1942 gloom that followed Pearl Harbor and the fall of the Philippines, Singapore, and Wake Island. When this is all over, and there is a legitimate government in the Middle East that represents the aspirations of a free people, the stunning achievement of our soldiers will be at last recognized, the idealism of the United States will be appreciated, our critics here and abroad will go mute–and one of the 23 writs for a necessary war of liberation will largely be forgotten. 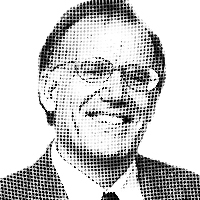 – Victor Davis Hanson is a senior fellow at the Hoover Institution. His latest book is A War Like No Other. How the Athenians and Spartans Fought the Peloponnesian War.